Ingredients: Lavender, Eucalyptus, Lemon, Tea Tree, Clove. Origin: Blended for a friend when she wasn’t well and now Auntie M’s Anti is a best seller at The Crystal Garden. 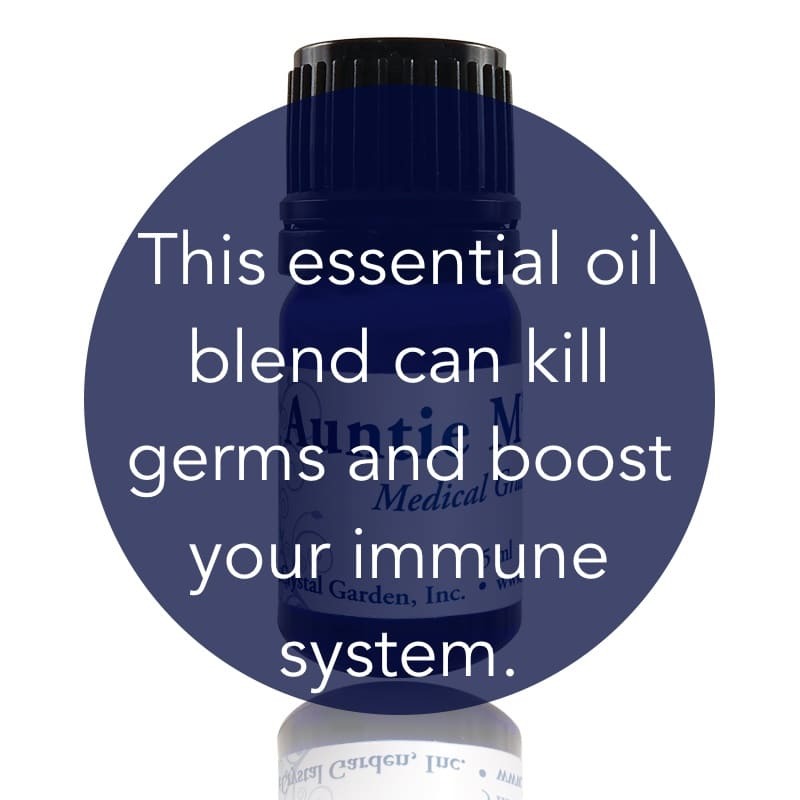 It is also available in 2 oz spray bottle – Auntie M’s Anti Disinfecting Spray. Therapeutic Properties: More information is available for each of the ingredients which can be found within this website. Go to the Aromatherapy page and click on each ingredient. 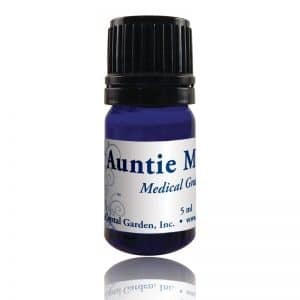 Uses: Auntie M’s Anti Essential Oil Blend is useful for healing infections. It has strong antiseptic qualities and is recognized for its anti-infectious and antifungal qualities. Use before and after an operation to improve the immune system, as it is effective as an antiviral and germicidal agent. It is especially beneficial for the relief of a sore throat, toothache, earache, and sinus conditions.